During COP21 in Paris last December, 1,000 mayors and local leaders pledged themselves to a 100 % renewable future of their municipalities by 2050. 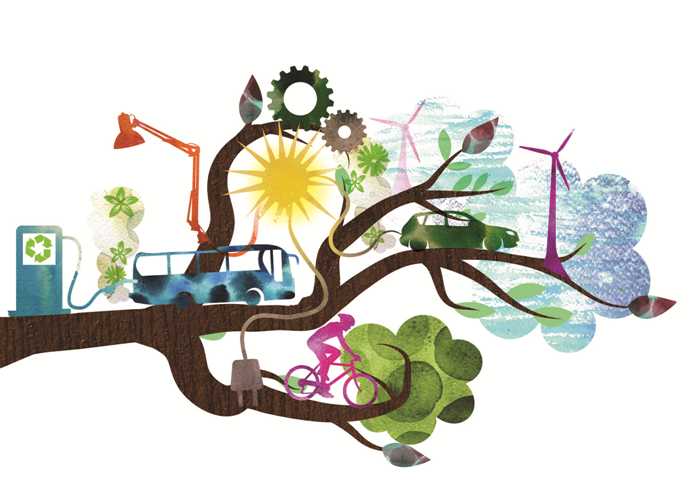 The final declaration from 4 December 2015 reads: “We support ambitious long-term climate goals such as a transition to 100 % renewable energy in our communities, or an 80 % greenhouse gas emission reduction by 2050.” This crucial political statement gives new impetus to the international research task Solar Energy in Urban Planning (Task 51), which is part of the IEA Solar Heating and Cooling Programme (link to http://www.solarthermalworld.org/content/iea-shc-task-51-urban-planners-know-little-about-solar-energy-potential). The main objective of the task headed by Maria Wall, Swedish professor at the Energy and Building Design department of Lund University, is to provide urban planners, authorities and architects with the means of designing urban areas that will enable the integration of active and passive solar energy solutions which can cover a large share of the energy demand. The researchers organised two workshops in Stockholm in March to discuss with representatives from public bodies how to deal with the challenges of interdisciplinary planning processes when trying to retain the aesthetic quality of buildings of cultural and historic significance. Maria Wall and her team consider it important to develop approaches and methods which help urban planners to “integrate energy perspectives into spatial planning,” as Mats Johan Lundström from the Swedish Society for Town and Country Planning emphasised during his presentation at the Solar Energy in Urban Planning workshop on 11 March. Urban planners are generalists who have to consider various issues throughout a project’s run time, so it is important not to increase their workload by making energy another item on the agenda. “A large number of software tools available today can calculate and visualise the solar irradiation of an urban area, but there haven’t been many methods at our disposal to integrate the results of such tools into traditional urban planning,” Wall named one of today’s shortcomings. One of the first steps in urban planning, Lundström recommended, was to define long-term goals for sustainability and rank different aspects, such as renewable energy use, safety, integration or green balance, based on their importance. Lundström also proposed to “make energy experts part of the steering committees of big urban planning projects, in order to develop joint strategies”. As a successful case study, the Swedish planner named the Swiss canton of Geneva, which received The European Urban and Regional Planning Award 2014 for its interdisciplinary and innovative planning approach. The starting point in Geneva was the definition of the area in terms of resources as well as places of production, storage, distribution and consumption of energy. “The approach was supported by revising cantonal legislation to align town and energy planning,” the jury explained its choice. Assessing solar integration by identifying three different levels of visibility: low, medium and high. The second workshop organised by Task 51 and held in Stockholm in March focused on Solar Energy and Heritage, giving Dr Maria Cristina Munari Probst, an architect from Italy and a researcher at the Solar Energy and Building Physics Laboratory of the Federal Institute of Technology Lausanne, LESO/EPFL, in Switzerland, the opportunity to speak about how to integrate solar energy into existing building stock. “The question is no longer whether one is in favour or against the use of solar systems in cities,” she said. “We need to define adapted local minimums of integration quality and present the factors needed to establish smart solar energy policies, in order to preserve the quality of pre-existing urban contexts while promoting solar energy use.” The Italian architect presented the Quality-Site-Visibility approach which gives “unequivocal and objective answers in this debate”. The so-called Criticity-grid specifies the sensitivity of the urban context and the visibility of the surface in the public realm, including quality requirement symbols. 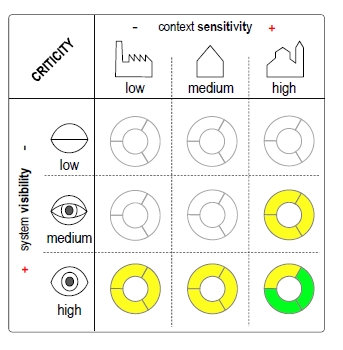 The methodology matches three levels of visibility with three levels of sensitivity to define nine “criticity” situations for which different integration quality level requirements can be set. Previously, the quality of solar energy integration had been viewed as a matter of personal taste, the above-mentioned document explains. But recent studies have confirmed that the existence of implicit criteria shared by the architectural community makes it possible to objectivise quality evaluations. To help authorities implement this method, a multi-purpose software tool – called LESO-QSV GRID – has been developed together with a training package (info available on request at LESO/EPFL under the link given below).